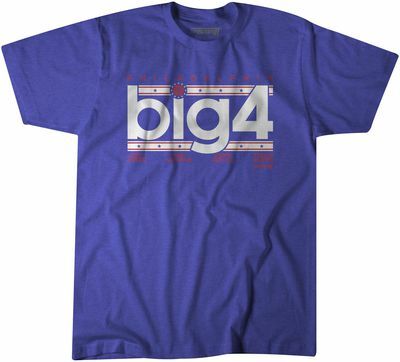 There’s a new T-shirt and hoodie for Philly celebrate the arrival of the Sixers new star. The Philadelphia 76ers are going all-in, and “The Process” — which by all accounts ended earlier this season when Jimmy Butler arrived — is officially a closed chapter in Sixers history. On Wednesday morning, the Sixers put the final touches on their rebuild era by agreeing to ship Landry Shamet, Wilson Chandler, Mike Muscala and picks in exchange for Tobias Harris, his partner-in-crime Boban Marjanovic, and Mike Scott. So, say hello to the Philly’s new “Big 4”: Joel Embiid, Ben Simmons, Butler, and Harris, the newly acquired 20-point-per-game scorer. After years of suffering and praying that “The Process” would deliver on its promise, the Sixers are now focused on winning the Eastern Conference and chasing an NBA title. Shockwaves may still be reverberating around Philadelphia, but hey, there’s officially a “Big 4” to wreak havoc on the Eastern Conference. 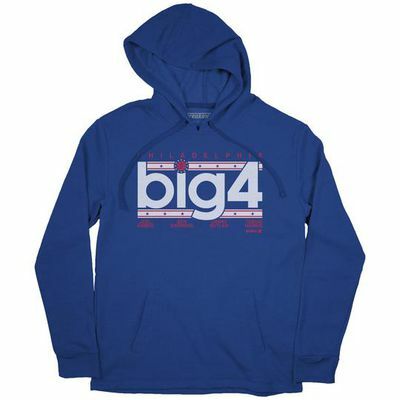 And even though it’s been less than 24 hours since the trade went down, Sixers fans already have a new T-shirt and hoodie to pick up as they gear up for a big playoff run. While this trade certainly comes with high risk for the Sixers — Harris is a free agent at the end of the season and could walk — there could be a huge reward, too. Harris, who is putting together the best season of his career, theoretically slides right into the Sixers lineup and could be a perfect fit alongside Embiid and Simmons. Either way, it’ll be a fascinating ride the rest of the way. But most importantly, Bobi and Tobi are still together, which is the NBA BFF couple we don’t deserve, but the one we need for crazy times. NBA Twitter thanks you for keeping them together. With the NBA Trade deadline in full force, we’ll keep you updated if more merch and apparel drops over the next few days.